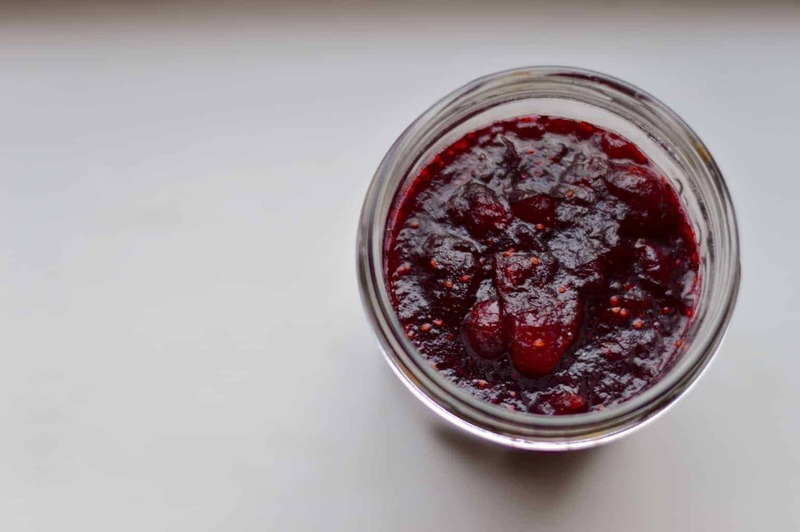 Christmas just isn’t Christmas without cranberry sauce. I don’t know why I think it’s so important (probably just because I really like it), but I don’t think a Christmas dinner is complete without a tart burst of cranberry; it also makes leftovers and cold cuts so much better. 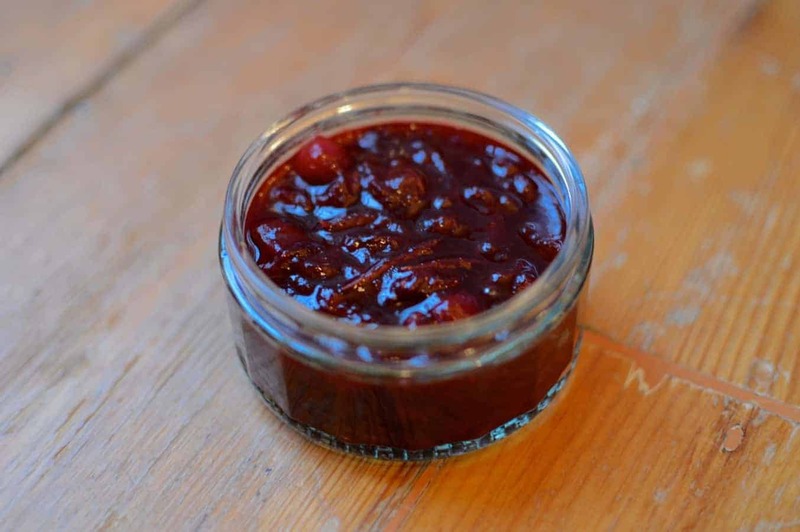 For the last few years the cranberry sauce has been one of my tasks – there’s even an old version of the recipe here on The Usual Saucepans – but like all good recipes it gets tinkered with and updated over time. At its essence though it’s a really simple recipe, and one that takes a mere 15 minutes or so to make – there really is no excuse for it coming from a jar! I like this version – it allows you to be quite liberal with the port (always a good thing), but also brings in more of a citrus flavour from the orange and marmalade. It will brighten up any turkey and goes especially well with a roasted ham, give it a go over your jarred nonsense this year and see how you get on! This recipe is one that I’ve been continually improving over the last few years, tweaking it slightly each time I make it. 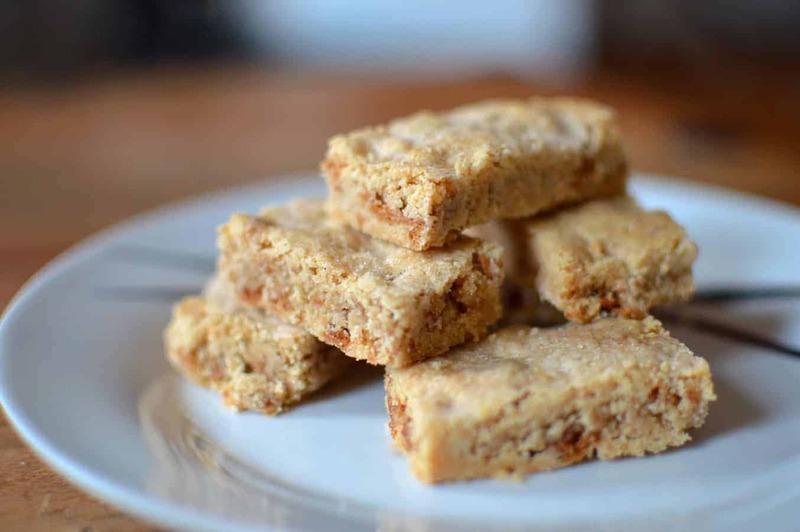 The quantities below are guidelines, but can be pretty flexible based on your tastes (I like it a bit tart, so those looking for a little sweetness should add a little more sugar, for example). It makes about 1 1/2 jars, so about enough to get you through the festive period. Pour your cranberries into a heavy based saucepan and put them over a medium heat for 5-10 minutes until almost all of them have popped (it’ll depend on the ripeness of the cranberries, thickness of pan, etc.). Add in the sugar and stir with a wooden spoon (make sure it’s one you’re not too fond of, it’s libel to be bright red by the end, although it should come out in the wash) until it’s all melted. Add in the marmalade and continue to stir until all the marmalade has melted. Remove the pan from the heat and add in the orange zest and about half the juice, then pour in the port and stir everything together (if it looks really thick put the rest of the orange juice in, if it still looks fairly thin don’t add it). Allow to cool fully before you put in a jar. Keep in the fridge until you need it. It does, yeah – I would say for probably about 10 days if you seal it in something and pop it in the fridge. I like having it to New Year, so I’ll probably make our actual Christmas batch early next week. 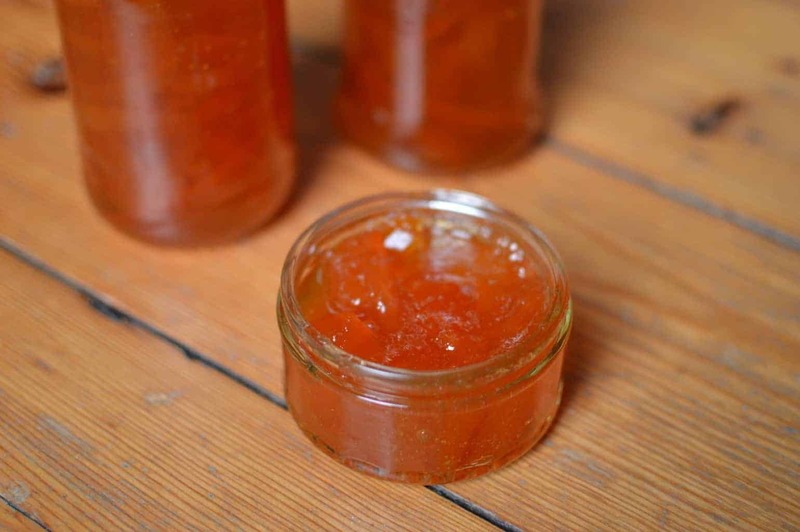 I love the marmalade in it – just makes it a little different!